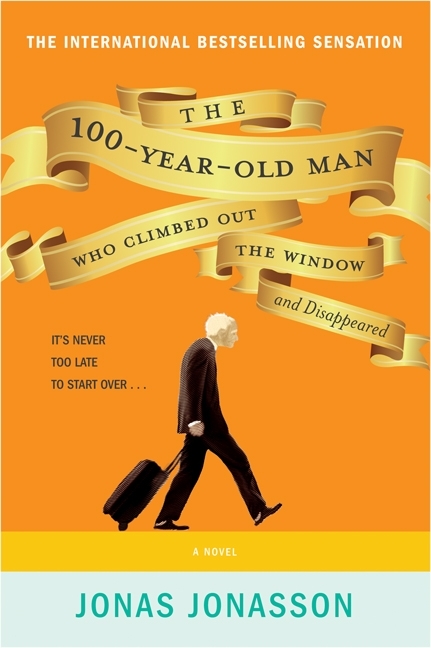 Jonas Jonasson’s The 100-Year-Old Man who Climbed Out the Window and Disappeared is about… Well, the title says it all, doesn’t it? Allan Karlson escapes the nursing home just before the party for his 100th birthday and, on a whim, steals a suitcase at the bus terminal. Unfortunately for him, the suitcase contains a lot of cash, and this leads to a hilarious, utterly absurd chase that involves a hot dog stand operator, an elephant and a lot of unexpected twists. And the more the immigration officer got out of Allan, the less fascistic the Swede seemed to be. He wasn’t a communist either. Or a national socialist. He was nothing at all, it would seem, other than an expert on explosives. As for the story of how he came to be on first-name terms with General Franco, it was so ridiculous that it had to be true — he could hardly have made it up. The novel is hilarious, but as seen in the passage above, Jonasson’s humour is dark, at times satiric, and at others even disturbing. Allan’s life is filled with misadventures and random streaks of good luck, and it’s mostly Allan’s nonchalance at everything that keeps the story humorous rather than tragic. Jonasson’s writing as well has a sharp bite — dramatic incidents are immediately undercut by quick quips and mundane things are inflated to absurdity. 100-Year-Old Man is a fun, quirky read. Some parts dragged, and even though the ARC I received is less than 400 pages long, at times, the book felt longer. Then again, with 100 years to cover, the story is understandably packed with events. Still, I love Jonasson’s humour, and I enjoyed seeing history through Allan’s eyes. This entry was posted in Book Reviews and tagged 50BookPledge2012, ARC, Fiction, Harper Collins by Jaclyn. Bookmark the permalink. This was such a fun book to read! It didn’t drag for me, but I did think the transitions were a little clunky (perhaps a translation issue).